We already have all the pieces needed to render a 3D scene but we need first to do the maths. We need first to define what do we want to view, that is, we need to define a viewing volume such that any object within the volume (even partially) will be rendered while objects outside won’t. On the image below, the yellow and red spheres are within the volume while the green one is not and does not appear on the projection. There exist many different ways to project a 3D volume onto a 2D screen but we’ll only use the perspective projection (distant objects appear smaller) and the orthographic projection which is a parallel projection (distant objects have the same size as closer ones) as illustrated on the image above. Until now (previous section), we have been using implicitly an orthographic projection in the z=0 plane. 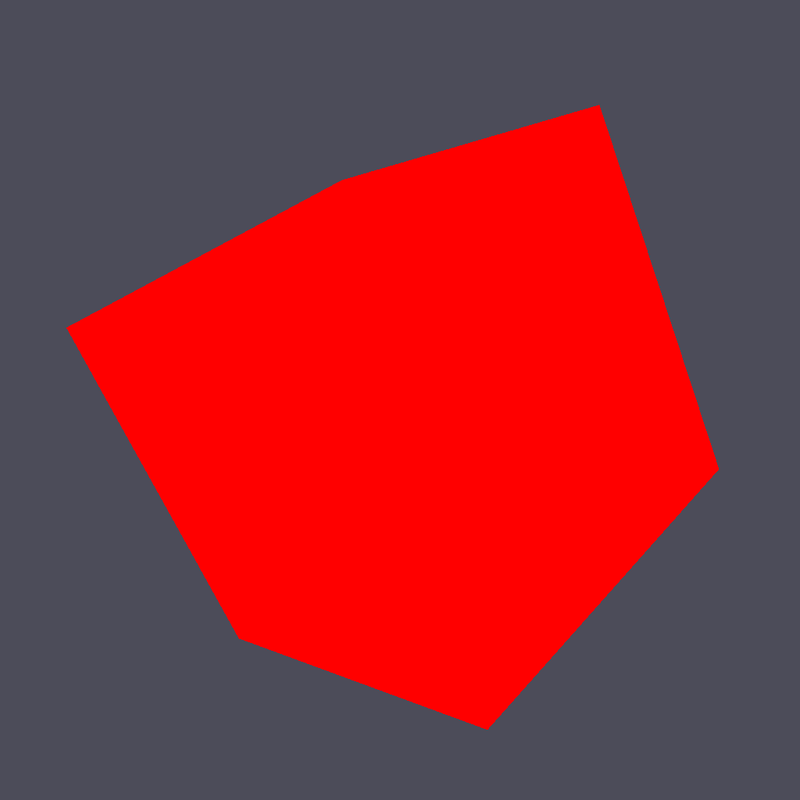 We need to define what we mean by a cube since there is not such thing as as cube in OpenGL. A cube, when seen from the outside has 6 faces, each being a square. We just saw that to render a square, we need two triangles. So, 6 faces, each of them being made of 2 triangles, we need 12 triangles. We’ll use the indices buffer when rendering the cube. Note that the view matrix is a translation along z. We actually move away from the center while looking into the (positive) z direction. This is needed because we’re now dealing with 3D, meaning some rendered triangles may be behind some others. OpenGL will take care of that provided we declared our context with a depth buffer which is the default in glumpy. Complete source code is available on github. But… But… But is’t ugly ! Yes, of course ! We have no color (but red), no texture and no light. What did you expect ? © Copyright 2011-2016, Nicolas P. Rougier Revision f9265f91.